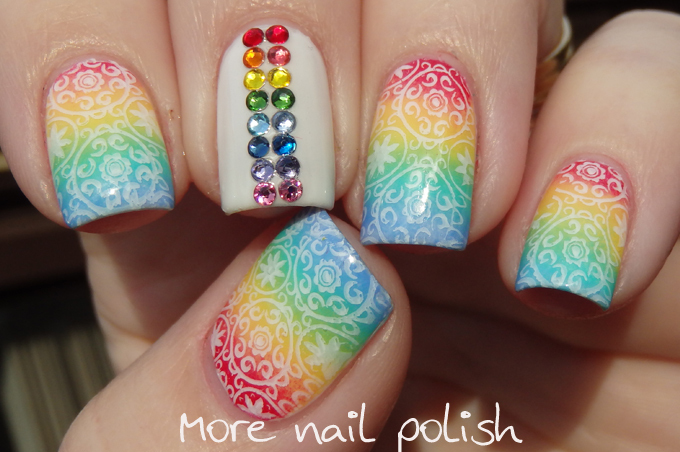 Here's another rainbow mani I've worn in the last week. 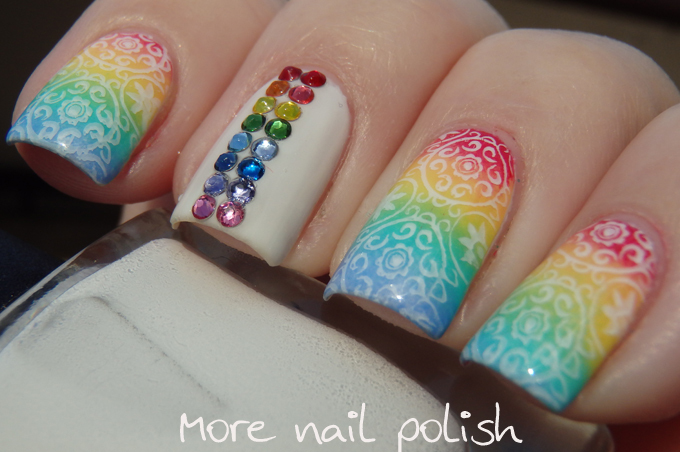 Gradient was created using Picture Polish Frank-n-furter, Chillax and Swagger and OPI I Can't Cope-a-cobana (my current go to shades for rainbow colours). 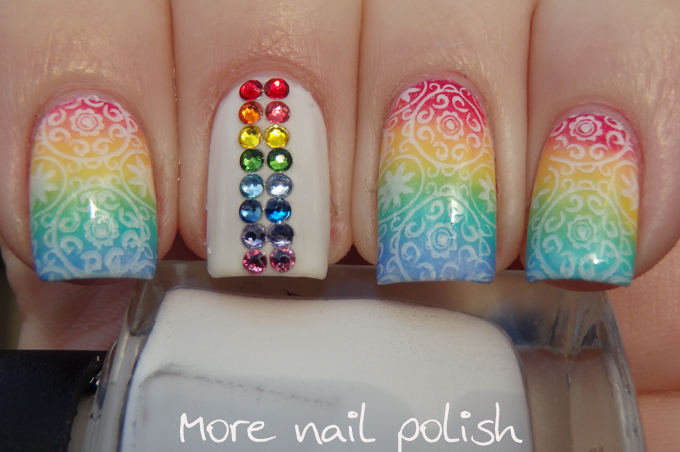 Stamped with Mundo de Unas white polish. 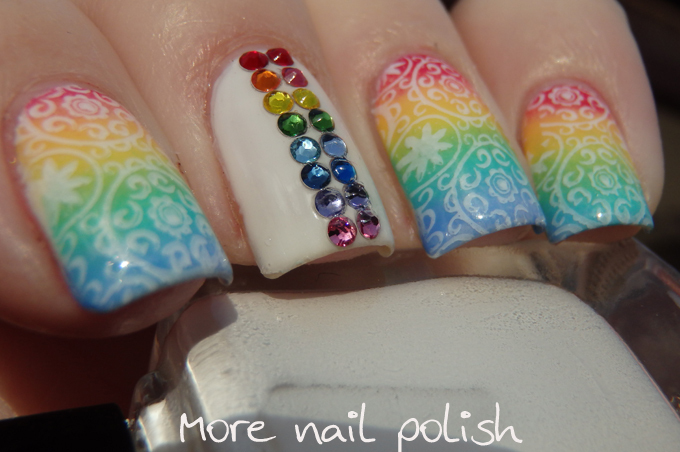 On my middle finger I pain stakening picked through my 350 pack of mixed Swarovski crystals to select a rainbow of colours. Once again my evening polish painting lighting let me down thinking I had selected two oranges, when I had in fact selected one orange and one pink. I swear I'm not colour blind. Despite the fiddly-ness of sorting through the crystals, I really do love these over the regular plastic resin ones, the sparkly finish after top coat is very noticeable. where did you get these stamping plates?